!! ONLY ONE LEFT !! 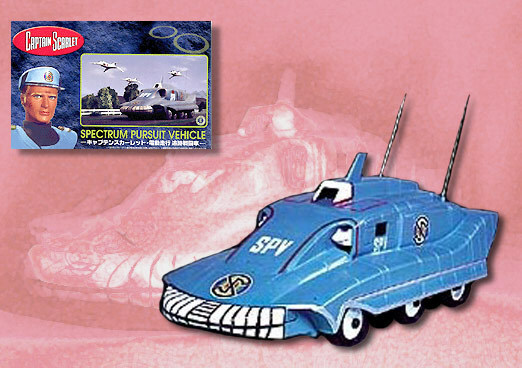 Aoshima brings back a classic; Imai's SPV Model kit from Captain Scarlet! Measuring nearly 8 inches long, this kit is easy to assemble and includes waterslide decals. Roaring over the road, the Spectrum Pursuit Vehicle is the backbone of the Spectrum Ground Support Team. Grab a bunch and assemble a whole fleet of SPVs to fight the Mysterons! Glue and paint not included.